Social Media and Networks are channels where most real users converse, engage and spend the most time. It is evident that social media like Facebook, Twitter, Pinterest, Instagram and Linkedin play a vital role in people’s life. Leveraging the social media platform by advertising and marketing for business will improve not only branding but also reputation and traffic. By using social media marketing, a business grows faster and reach out to a highly targeted audience with little investment. 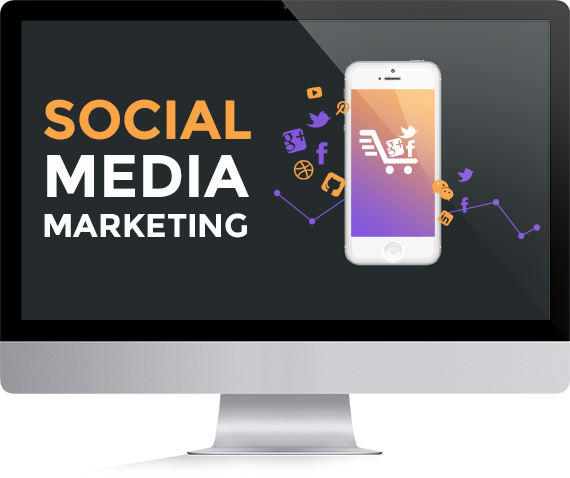 Understanding your business needs and choosing right platform to start social media marketing. Creating, Developing and Publishing Engaging content that improve traffic, sales and social authority. Increase Facebook Likes, Shares, and Engagement, Twitter Followers, Promote on Pinterest, Linked, and Instagram. Improving existing social media marketing campaigns to drive more engagement. Setting up Highly targeted Conversion oriented ads, efficient use of Analytics and Insights for re-marketing. Latest updated marketing techniques for increasing ROI. Our Social Media Marketing Rockstars can bring dramatic changes to your social media presence. We help Improve conversions, lead generation, traffic and reduce cost per customer acquisition. Dedicated Account Manager for quick communication and reporting. One to one consultation and weekly / custom scheduled meetings with your company team. Professional Social Media Marketing Reports and Metrics for measuring the campaign performance. High-Quality Services and Customer Satisfaction.